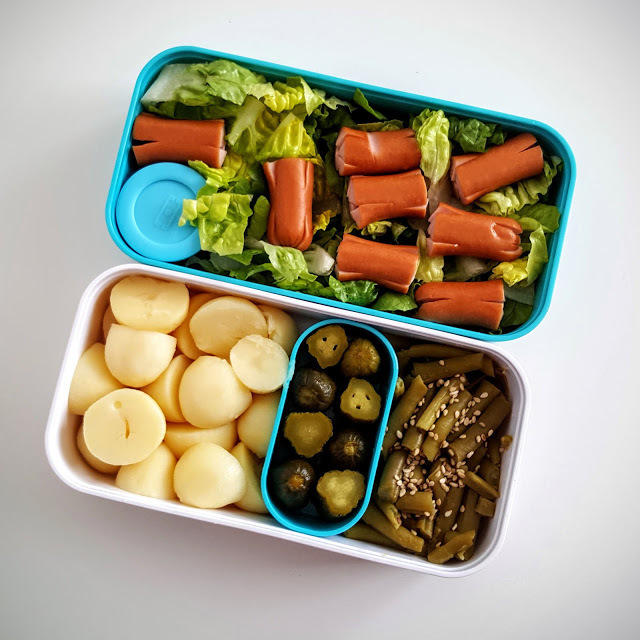 Bento is not only rice, and you can eat a delicious meal with other ingredients like potatoes, green beans and... cornichons! This is my bento idea for days when I literally cannot look at rice, e.g. the day after sushi day. 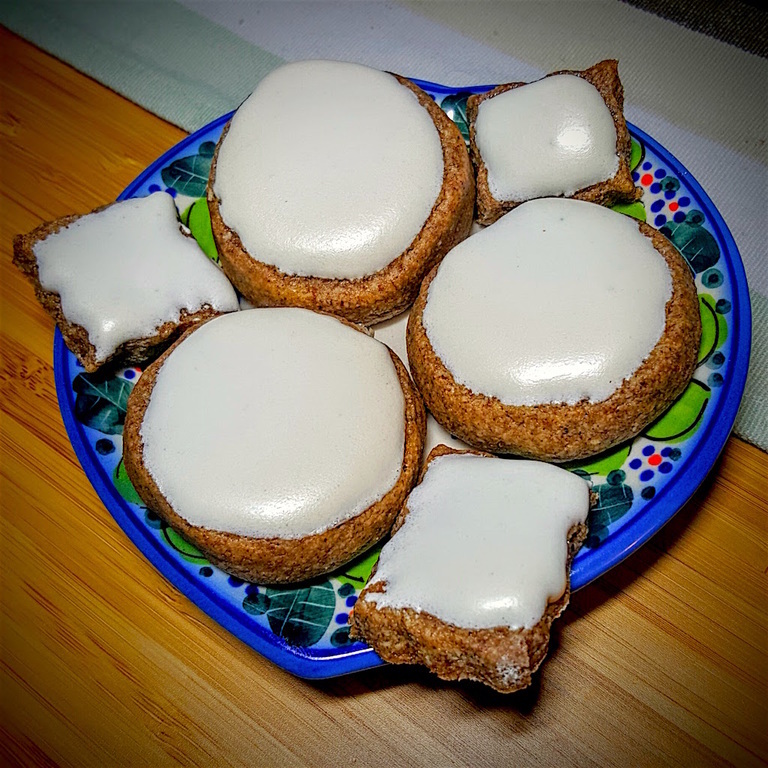 And, because most of the ingredients are pre-made in jars, you can quickly assemble this set when you're short on time. 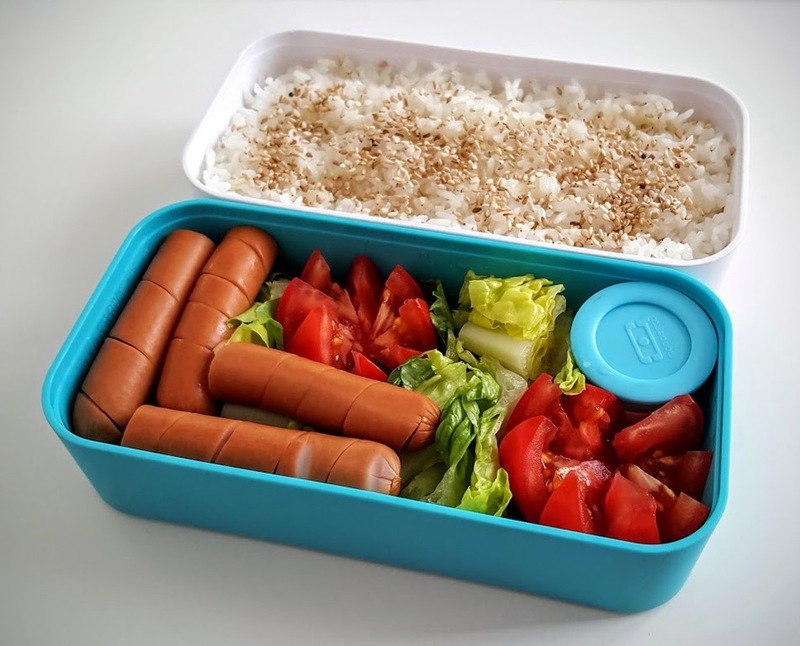 What's not to love about this bento idea? !